What is a VTOL Jet ? Is it a "Flying Car" ? Yes , you read right we can soon fly in the cars privately like taxis on the roads ,As the start-up company named "Lilium" just tested their prototype of a VTOL jet and they were successful in their attempt .This is a German company established in 2015 and from then they were working on the prototypes of these jets and they eventually came up with a great design that they tested a few days ago and they were happy with their success . Lilium company engineers basically designed a 2-seater VTOL jet that flew without a hitch which includes a transition manoeuvre where the jet can take off vertically still and then it can flew forward as they normally do as in Helicopters . This jet has about 36 electric engines housed in to one wing and it has about 435 horsepower and with battery capability of 320kw and can flew upto 300km/hr with 300 being the highest speed. A vertical take-off and landing (VTOL) aircraft is one that can hover, take off, and land vertically. This classification includes fixed-wing aircraft as well as helicopters and other aircraft with powered rotors, such as cyclogyros/cyclocopters and tiltrotors. Some VTOL aircraft can operate in other modes as well, such as CTOL (conventional take-off and landing), STOL (short take-off and landing), and/or STOVL (short take-off and vertical landing). Others, such as some helicopters, can only operate by VTOL, due to the aircraft lacking landing gear that can handle horizontal motion. VTOL is a subset of V/STOL. I mean a jet that can hover and take off means it needs a different design then the conventional planes and that is because they are complicated and not cost effective in maintenance of this Jet ,and there some other jets in the past years which can flew like Lilium's Jet and they were in like tested in 1955 and they were successful but eventually they shut it down as it is too costly and needs many design changes to be more effective. So, Lilium engineers came with an different design for their prototype in which they used 36 electric engines housed into one wing of Jet and Lilium's design doesn't need Gear boxes ,Aero dynamic steering Flaps and no water cooling .It has variable pitch propellers and tiltable electric engines . It has 36 electric engines and it can run with even 4 engine failures as safety and it has various sensors which ensures drivers safety . 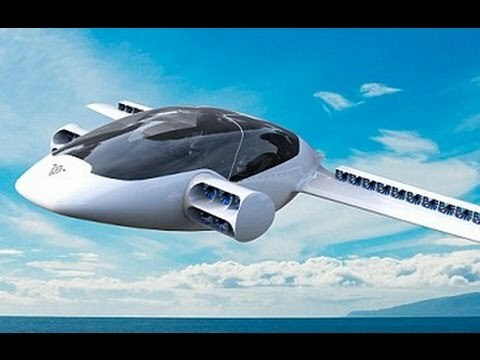 Lilium is planning to develop a 5-seater jet that can be used in public transport service as in like Uber by 2025 .This wasn't the very first flight they've had. Lilium have tested multiple smaller prototypes but this was the first full scale craft. As for the "Jet" part, Lilium claims that the air is still compressed and pushed out the rear of the engine but by electric motors, not a gas turbine. So, here it is from now on flying cars is not a dream and Dubai skies are set to be abuzz with driverless flying cars within months, The RTA, in collaboration with the Chinese firm Ehang set to start these cars in April of this year.